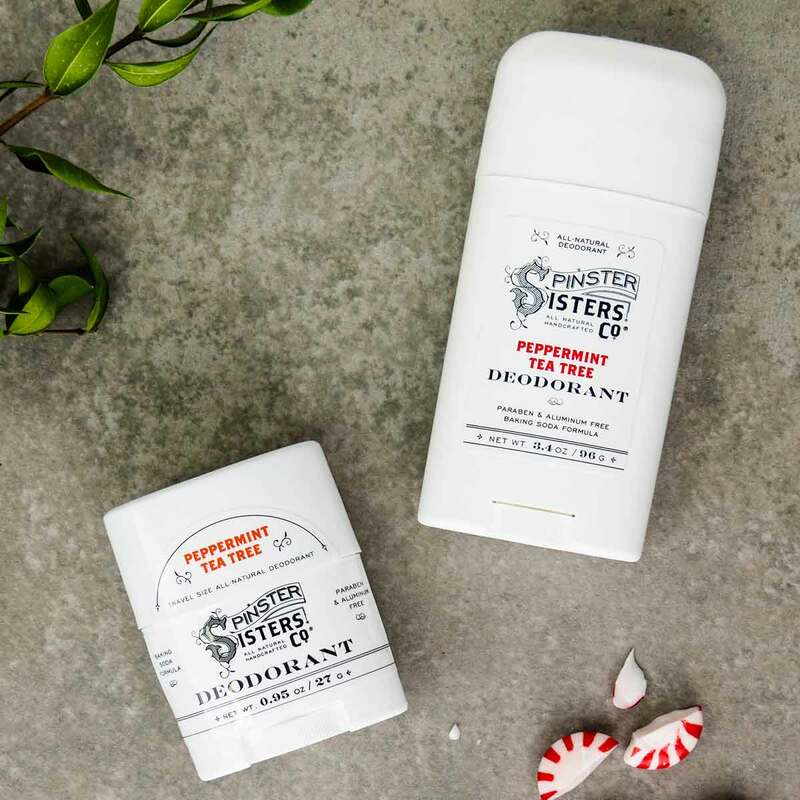 Deodorant Travel Size | Apothecary | Spinster Sisters Co.
Don't be smelly; fight odor with our natural aluminum-free Travel Size Deodorant! 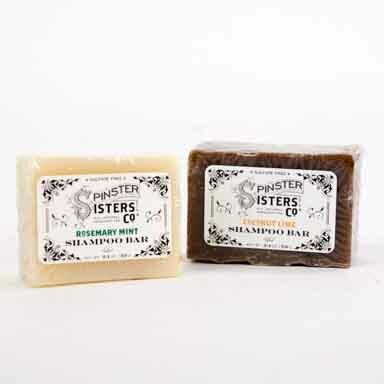 It's made with baking soda, a natural deodorizer, and arrowroot powder, which soaks up moisture. Coconut oil and shea butter protect and moisturize your skin. 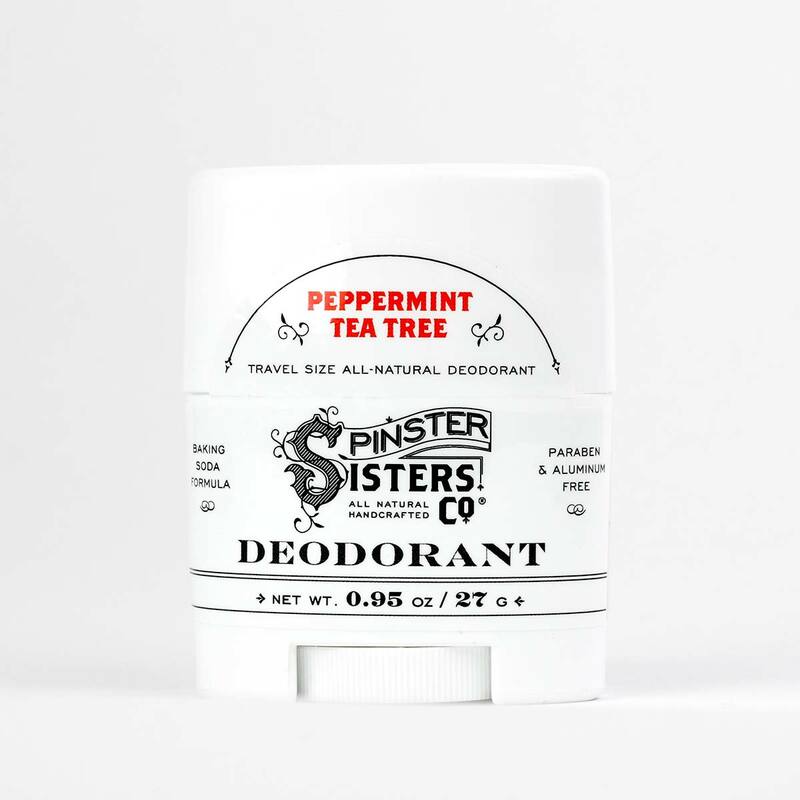 It's no wonder that our Deodorant is one of our most popular products. We do not use any chemical binders in our Deodorant to produce as pure a product as possible. Q: How do you get the deodorant to push up in the travel size? It is impossible. What is the trick? Apply in the morning and again before any event that may have you sweating a little bit more. Your underarms will thank you, so will your coworkers! Recently shaved underarms may benefit from a 1-2 hour waiting period before use. Pro Tip: Chill for 30 minutes prior to first use to avoid flaking/crumbling. Once the Deodorant has been used one time to form to the shape of your underarm, you should not experience any flaking.